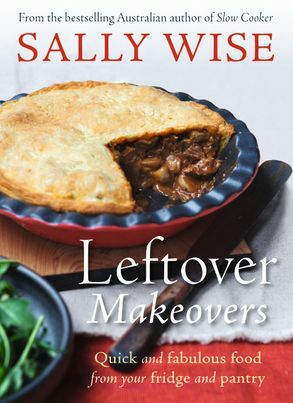 ABC Local Radio legend and bestselling author Sally Wise shows you how to turn almost any kind of leftover into a new and delicious meal! Most of us are guilty of buying, and cooking, more food than we actually eat. Fruit and vegetables turn limp in the crisper drawer; biscuits go stale in the cupboard; half a dozen eggs are a day away from their best-before date, and then there's the leftover Bolognese sauce and roast chicken ... Using up leftovers can mean significant savings to our household food budgets. As well as the financial benefits, there are also moral and environmental reasons why we need to be creative with the food we already have in our fridge or pantry. Here Sally Wise shares her best recipes for turning almost any kind of leftover into a new and delicious meal, snack or sweet treat. From bread to fruit to cooked meat and vegetables and even scrapings from jam and peanut butter jars, there is a simple, mouth-watering and economical way to transform what you've already got into tonight's dinner.